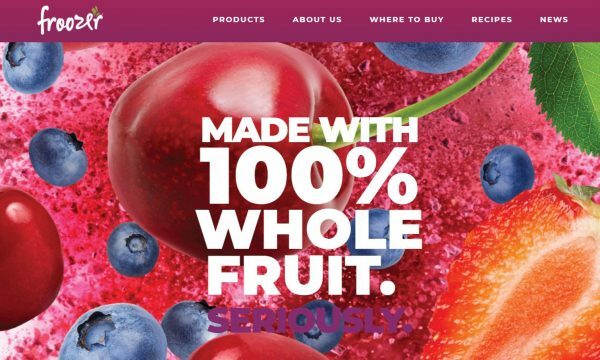 A Denver-based company that makes a fruit-based frozen snack has filed for Chapter 11 bankruptcy. Cool Frootz LLC, which does business as Froozer, said in a filing last month that it owes between $1 million and $10 million to at least 100 creditors, with its 20 largest creditors accounting for $4.3 million. The company, which said its main office is at 1127 Auraria Parkway in Denver, listed assets between $1 million and $10 million. Companies use Chapter 11 bankruptcy protection to reorganize and help keep the business alive, paying creditors over time. Froozer said on its website that its frozen products, available in flavors such as “mango tango” and “orange zinger,” are made with 100 percent whole fruit, with no added sugar, juice or concentrate. Froozer products are available at major retailers such as Walmart and Safeway, according to the site. Froozer has filed for bankruptcy protection once before, in Florida in November 2012. David W. Patterson, Froozer’s president and chief operating officer, signed the most recent bankruptcy filing. He did not respond to a request for comment. The company listed two creditors with claims greater than $1 million: an entity called DNS-Frootz LLC and an affiliate of S2G Ventures, a venture fund that invests in projects related to healthy and sustainable food. Froozer’s other creditors also include the Colorado Health Foundation, with a $172,478 claim labeled “debt,” and US Speedskating, with a $45,000 claim. Froozer was named the “official smoothie partner” of US Speedskating in March 2016. Lee M. Kutner of Denver’s Kutner Brinen is representing the company in the bankruptcy proceedings.